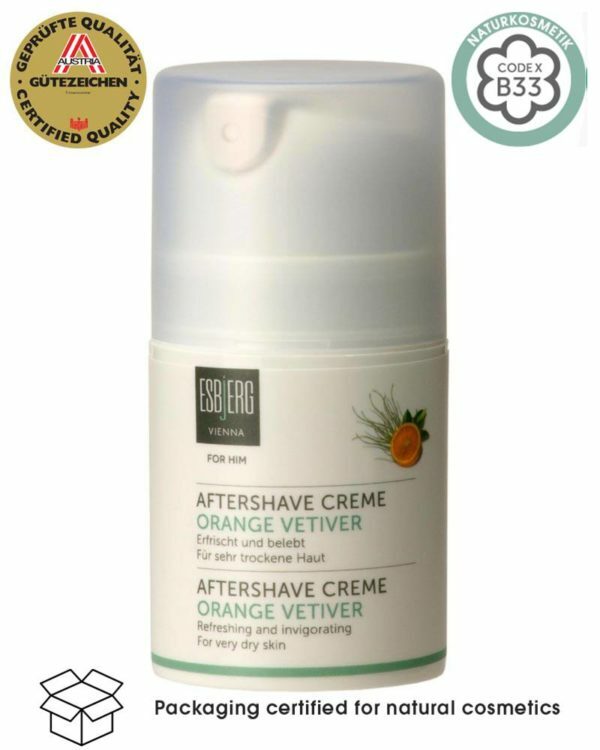 This aftershave cream is perfectly suitable for dry and sensitive skin. This nourishing cream not only revitalizes the skin, but also leaves it deeply moisturized throughout the day. With the wonderful smell of Orange and Vetiver. Protect your face skin with the after shave against the cold of winter. Especially in outdoor activities such as skiing, the skin needs increased protection. This refined composition of healing and nourishing ingredients revitalizes and prevents the skin from shave irritations. The cream is absorbed quickly and does not leave an oily shine. You will be left with a wonderful feeling and an overwhelming attractiveness which women won’t be able to resist. The Sensitive series of Esbjerg is especially suitable for sensitive skin. Although no essential oils are contained, the products seem to have the light fragrance of rose. Milk and cream contain similar ingredients. However, creams contain a higher percentage of nourishing ingredients. In the morning and evening apply the aftershave for a pleasant feeling – even without shaving. 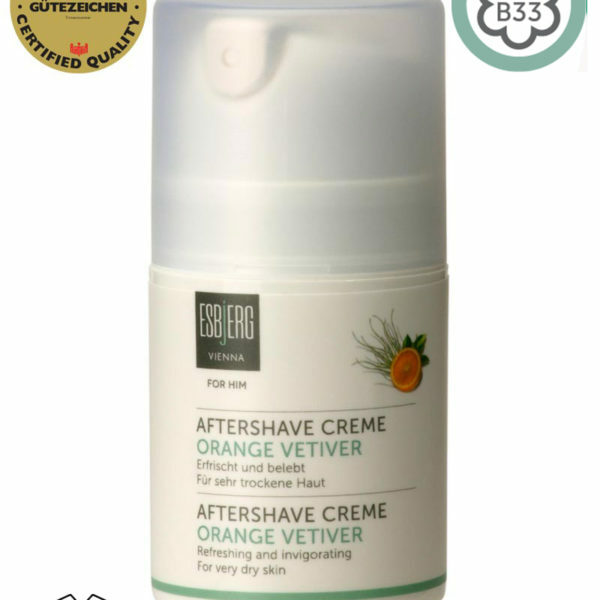 Orange and Vetiver is a perfect harmony for your skin. The scent is a invigorating combination and has a stimulating effect. Vetiver is a sweet grass, which has very special roots. The essential oil is obtained from these roots. The scent has something mysterious. The fragrance is woody and earthy, intense and herb. Vetiver revitalizes and regenerates tired skin. Rice bran oil not only has significant antioxidant effects, but also strengthens the natural skin barrier. Coconut oil contains a lot of calcium, magnesium, potassium and vitamins. It strengthens the skin and has antibacterial effects. Thus, it perfectly supports the skin’s barrier. Distribute on shaved areas and gently pat into the skin.